We provide bridal makeup the best stylists to take care of you on your special day and give you the dewy, glowing look that everyone wants on their wedding day, our team of professionals provides the stunning makeup for the wedding couple. We can offer beautiful accessories to the bride, a team of experts uniquely crafts our collection of accessories. Our makeup artist makes a decision for the makeup of Bride and Groom according to their dress. We are the Expert Makeup Artist, providing services that include Hair Cutting, Hair Styling, Hair Rebonding, Hair Coloring, Hair Care & Hair Extensions. Our experts treat your skin using the modern techniques based on Latest Technology so that your skin appears brighter & healthy. Her experienced team at Dreamz is competent enough to give amazing Bridal look We are best in offering you ravishing looks so that you stand out from the crowd. We use the latest machines & international quality products. These help in perfectly covering all the defects of your skin so that you get appealing looks. 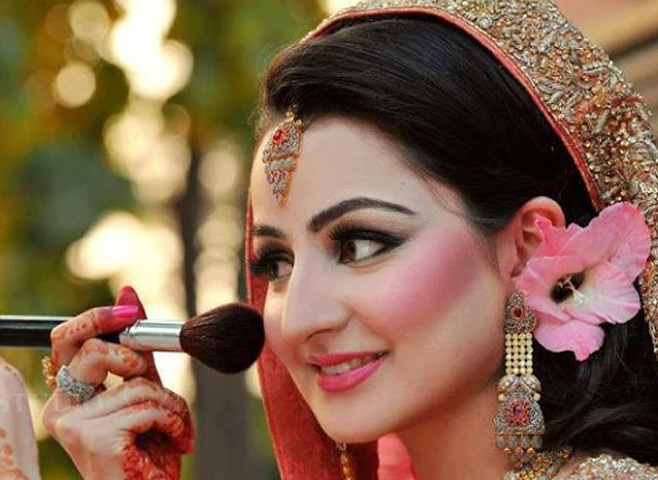 Our expert Bridal Makeup in Agra is offered at affordable prices. You can contact us to fix the Wedding Makeup schedule.